Fleetwood Mac was honored as 2018 MusiCares Person of the Year on Friday, and the stars came out to celebrate. The show featured an outstanding performance of Silver Springs by Lorde, as well as Miley Cyrus performing Landslide. 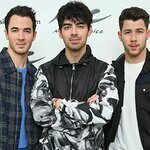 Other artists on the bill included Imagine Dragons, Jared Leto, Juanes, Alison Krauss and Jerry Douglas, Little Big Town, Zac Brown Band, GRAMMY nominee Brandi Carlile, Haim, OneRepublic, Harry Styles, and Keith Urban. 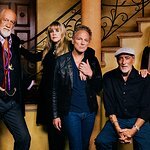 Fleetwood Mac — Lindsey Buckingham, Mick Fleetwood, Christine McVie, John McVie, and Stevie Nicks — will closed the show with Tusk and Go Your Own Way. Proceeds from the annual Person of the Year gala — now in its 28th year — provide essential support for MusiCares, which ensures music people have a place to turn in times of financial, medical and personal need.